Speculation is (and has been) rampant about this much-rumored Penguin update from Google. While it was initially expected in 2015, that date got bumped to the first of the following year. Then it got bumped again to the first quarter. The long and the short of it? Even Gary Illyes doesn’t know when this thing will launch, and he said as much at SMX West on March 3, 2016. 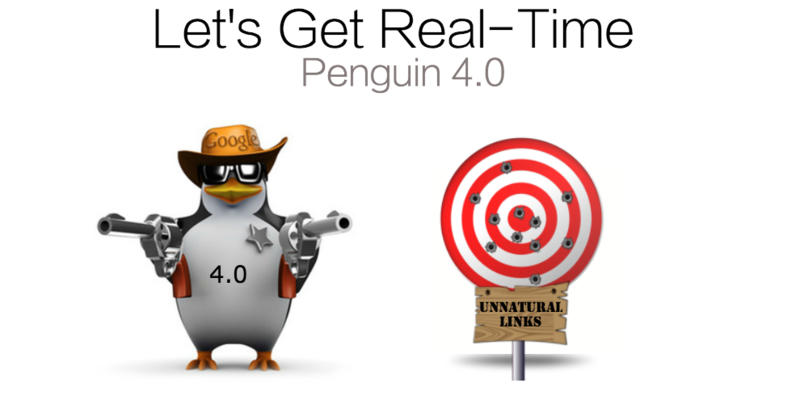 What Exactly Is Penguin 4.0 Supposed to Be? So, nobody knows when this long-anticipated update will be released, but what exactly is it supposed to entail anyway? What can people expect with this update when it does eventually land? These undesirable tactics involved outright spammy link building tactics, but Penguin was also about monitoring the actual quality of a site’s backlinks. That is, links from higher authority sites were given more weight than links from less authoritative, less trustworthy sources. That is how you build a long-term, successful SEO strategy. The initial launch (and each subsequent update) majorly shook up search results, but for most people going about marketing in the right way, these updates were positive rather than punitive. One of the major differences set to come with 4.0 is the real-time update to Google’s algorithm. What exactly does that mean? It means this Penguin portion of that algorithm will always be on and will always be updating. As much as Google has worked to detract people from artificially inflating their rankings through questionable SEO tactics means (paying for backlinks, keyword stuffing, using duplicate content, and so on), it still occurs. People are still slipping through the system with these techniques. The real-time feature will help catch spammy practices sooner and get those sites removed from Google’s search results more efficiently. People have been discussing and fretting over and nail biting about Penguin ever since its rumored launch. What’s all the fuss about Penguin, though, or any other Google update for that matter? It’s pretty simple. If Google deems that what you’ve been doing is a violation of any new or established rule, Google can (and does) levy penalties against that site. By losing your position in Google, you’re losing access to all that generated traffic from organic search through the world’s most definitive name in search. This can have a very real and very negative impact on your traffic, lead generation, and ultimately revenue. So, how can you prepare? While nothing can guarantee you’ll get through the update unscathed, you can do your best to ensure you’re playing by Google’s rules. It is, after all, a lot easier to preemptively take action against questionable links than it is to fight back after a manual or algorithmic penalty by Google has already occurred. Many times a site will run one report (maybe through Ahrefs or SEMRush) to gather its backlinks. Don’t necessarily stop at one. You want as comprehensive of a list as possible to ensure you’re working with all the data available. Look for patterns within the links that reveal potentially punishable behavior. This includes things such as a dramatic uptick in backlinks based on time. This can indicate undesirable behavior (a link-buying campaign or even manual link building). If you’re unsure about a link, it’s better to reach out to that site than wait for Google to take action. Directly ask the site to either remove the backlink or nofollow. For any link that remains, you can officially disavow. No single SEO report is ever enough. Whether you’re dealing with keywords or backlinks, everything about your site is always in flux. Make a full backlink audit a part of your monthly schedule. That way, if you have been the target of bad SEO practices, the first you hear about it won’t be when you get notified of your penalty. It’s easy to get wrapped up in the questions and uncertainty surrounding any Google update, but never lose sight of one basic golden rule. Updates are meant to catch and penalize sites doing misdeeds. If you’re marketing quality content that’s genuinely interesting, educational, helpful, and engaging, you’re very likely in the clear. Creating and maintaining that level of quality leads to natural consumption, sharing, and linking, which is precisely what Google is driving toward. That doesn’t mean you can assume all is well (you should absolutely run your site audits and backlink audits), but stick to best practices, and you’ll likely never have to sweat any update. No one knows when Penguin 4.0 will hit, and there’s even a lot of uncertainty surrounding what exactly that update will include. It does seem clear, though, it will be heavily centered on link building penalties. The best way to prepare, therefore, is to be on top of your links. Always keep your finger on the pulse of your backlinks, and take action (nofollow, removal, or disavowal) as necessary. More generally, however, just focus on quality content that earns the right attention. Putting your best foot forward at every step is the best way to ensure these updates don’t negatively affect you!